An explosion destroyed a home in Homer Glen on Thursday. 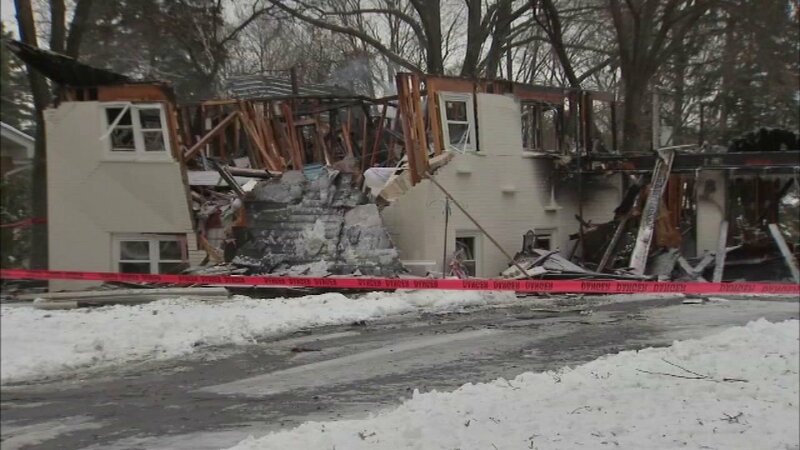 HOMER GLEN, Ill. (WLS) -- Some people in Homer Glen are back home after a gas explosion forced dozens of people from their neighborhood. A Nicor service representative must go home with residents to turn their gas service back on. A home was destroyed Thursday in an explosion caused by a natural gas leak. A daughter and father were inside at the time. They're recovering from injuries at Loyola Medical Center. Homes near the explosion were forced to evacuate and were cleared to return Friday night. Investigators are looking into what led to the gas leak and explosion.